When choosing a removals company for when you relocate from London to Lyon, France, it is important that you choose a reliable team that is not going to let you down. If any problems occur during the transition, you need to make sure that the company that you have chosen is capable of protecting you and fixing the problem for you in every and any way that they possibly can. Let’s be honest here, if you really wanted to anybody could relocate their belongings in some form or another but relocating them professionally, in an ordered manner and reliably is a job that really only the very experienced experts can do. Not every removals company can offer what Moving Service can give you in terms of removal services for those clients of ours who are moving from London to Lyon and this is why our relocation packages are much appreciated and sought after by our clients new and old. Hire Our Experts for Your Move Today! Moving from London to Lyon with our dedicated and professional removals staff is the most convenient way to relocate to your new commercial or domestic property in Lyon. Just because you may be moving far from your current London property or premises, it does not have to mean that you will be required to move a large amount of belongings with us in order to pass for a move with our company, as our firm carries out all kinds of relocation services for big and small London to Lyon movers so call us today on 020 8746 4402 for more information. 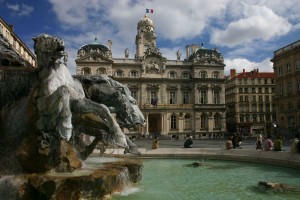 Lyon is located in the centre of France in the eastern area of the country. In French it is spelt as Lyon and in English it is spelt traditional Lyons. This French city is situated between Marseille and Paris and has good connections with other nearby French areas as well. France is a very large country and many of the major areas are very well spread out and most of the rural areas can be quite far from any major towns or cities, so it is a surprise to see just how well connected the Lyon city in France is. Lyon is located approximately 470km from Paris, 320km from Marseille, 160km from Geneva, 280km from Turin and 420km from Strasbourg. 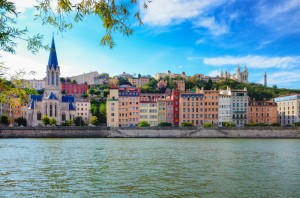 The city of Lyon is located in the Rhone-Alpes region of France and is the capital of this region as well. The Lyon area is made up of many smaller suburban areas and outer areas which form the Lyon conurbation. The Lyon conurbation is the second largest conurbation in France after Paris, which is the largest in the country. Lyon city has a population of approximately 1, 552, 000 people whereas its metropolitan areas has a much larger population of a somewhat 2, 120, 000 people. Our dedicated team of professional London to Lyon movers knows that to move our clients successfully, we need to listen first to what our customers have to say in order to ensure that they are getting what they want during their removals process and to make sure that we have not caused them more inconvenience than good. Luckily, Moving Service likes to ask for opinions from our clients and as we are a friendly and helpful team you do not have to be worried about calling us up on 020 8746 4402 to speak to our team at any time you feel necessary.